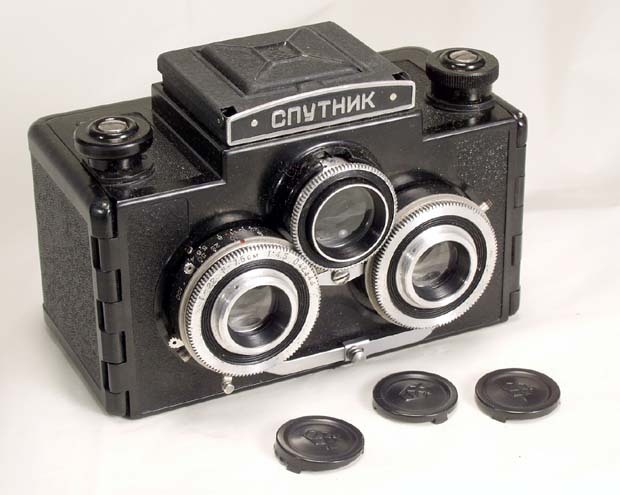 The F-21 is a famous Soviet-made photo camera for concealed use; a spy camera in simple words. This model was in production at KMZ plant from 1951 to mid-1990's. 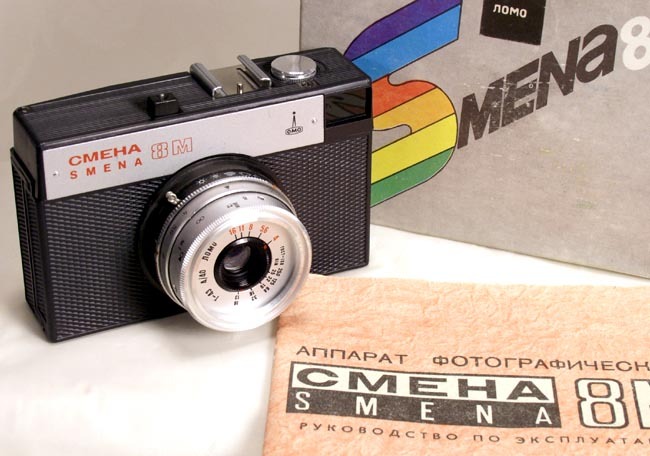 This camera was designed and made with its purpose in mind - it is very small, light, can shoot the entire roll of film from one fill wind of its spring-loaded motor. Picture quality was, of course, very important as well, so the F-21 features a very sharp, high-resolution lens and a reasonably large negative size. The frame is 18x24 mm, taken on a 21 mm film. 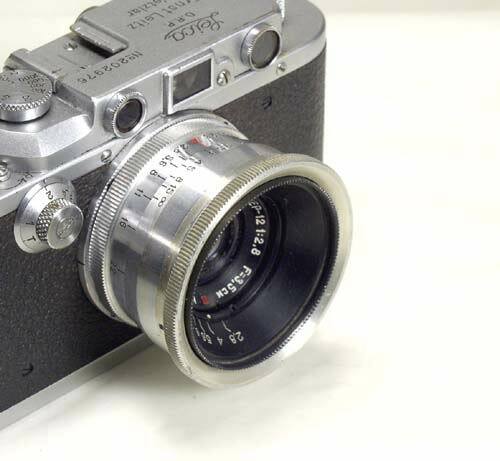 So technically, using the 35 mm terms, the F-21 is a half-frame camera. There were many attachments for the F-21, all intended to conceal it in different ways. There are belt buckles, coat buttons, purse and bag adapters. 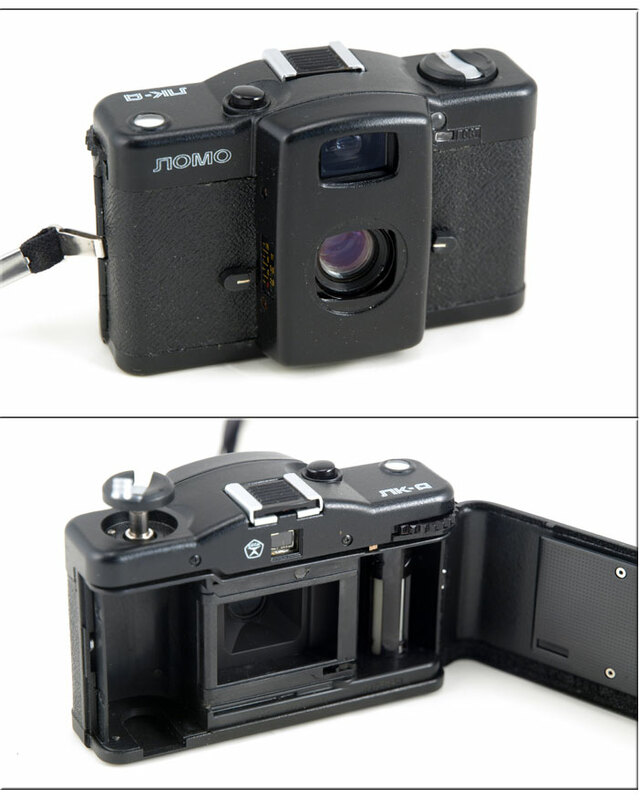 There are ordinary 35 mm cameras and umbrellas that could accommodate the small F-21. 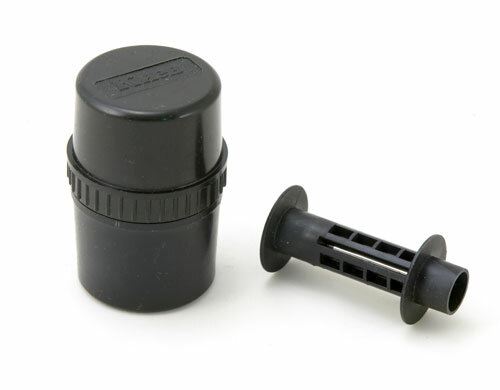 Some accessories, like the button, were made in small quantities, some - in single units. The F-21, as its name suggests, uses unperforated 21 mm film. This film is not readily available in stores, but can be easily cut from any 35 film using a 21 mm slitter, either self-made or ordered from some submini stores. 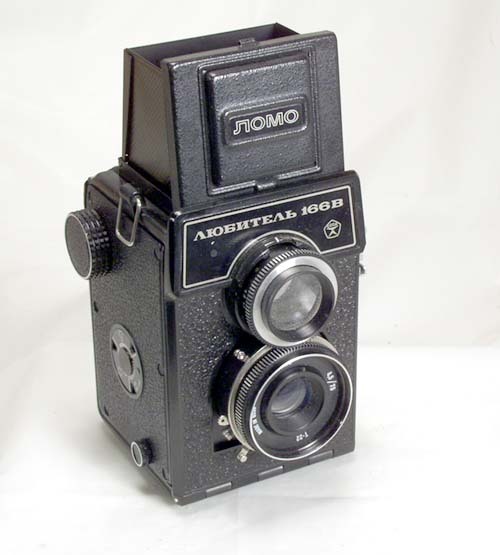 The camera was meant to use a 60 cm long film, which would hold up to 20 frames. This limitation was determined decades ago by the thickness of the film; modern films are thinner and the F-21 cassette can hold longer strips of film. The cassette has to be loaded with film in the dark, but can be placed in the camera in daylight. 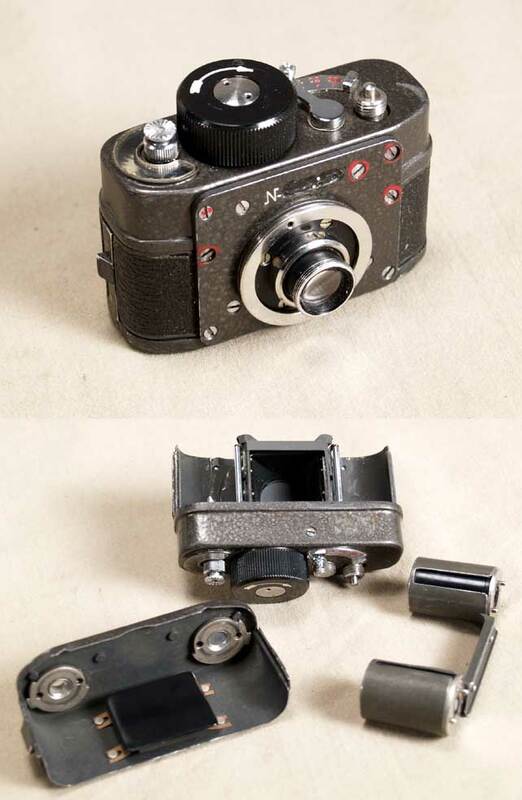 It is made in the same was the dual cylinder Leitz and Zeiss cassttes were made - it opens inside the camera when the bottom locks are turned to "locked" position. The standard lens is OF-28T, 28/2.8, coated. There are 4 shutter speeds - B, 1/10, 1/30, 1/100. At f/16 depth-of-field is 1.27 m - Infinity. The camera is used, clean, and fully functional. The serial number on the front is filed off - this was a standard KGB procedure. Serial numbers for secret items were also secret. Perhaps the reason for this was that the serial number would give away production quantity of the item, and THAT was a real secret! This is a great chance to own a piece of the Cold War history. The F-21 is very hard to find now. This is the last one we have in stock and they have not arrived in 3 years.